Why The John Lewis Partnership transformation is destined for success. It’s over a month since Sarah Vizard wrote her piece about the John Lewis/Waitrose rebrand in Marketing Week, but it’s definitely worth checking-out if you missed it first time. Despite the incessant talk about brands and brand development the subject remains largely misunderstood. However, this article points directly to the real reason why an organisation like The John Lewis Partnership would decide to move away from their “house of brands” architecture to one where their two communities are more tightly bound together and it’s not to do directly with customer perceptions. Of course both these brands were due an update. The YouGov Brand Health stats that Sarah quotes speak for themselves and there will undoubtedly be cost efficiencies achieved by bringing the two together in this way, but the real value is far greater and lies much deeper. This is by no means window dressing and those who understand brands know that they are never so superficial. Whether you like it or not your brand influences and is influenced by a wide range of stakeholders including investors, partners, distributers, suppliers and employees as well as customers and consumers and a business like John Lewis Partnership doesn’t invest £500million in a project only to realise a fraction of its benefit. This is about business transformation. 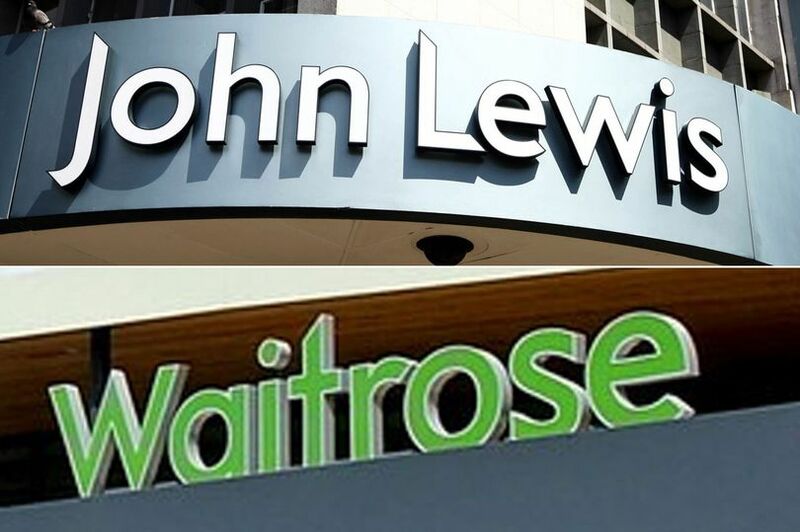 In an era when retailers are falling like flies, mainly because they failed to respond early enough to the digital revolution, The John Lewis Partnership have been ahead of the field. They were among the first to really understand on-line, which is why around a third of their business is done on-line and they have been quick to embrace omni-channel. However, it’s clear from this initiative they realise there is a lot of work to do yet. The announcement that they will be re-vamping stores and developing new products confirms their grasp of the principle of transformation and the fact they have started by looking at their brand proves beyond doubt they really “get” the principles I’ve enshrined in “brand-led business transformation”. In the digital paradigm success is more than ever a case of efficiency – achieving more with less. The businesses that triumph in the digital economy will be those that deliver a better customer experience. That means better products, faster and cheaper than their competitors. For most businesses this requires a new approach to business and when you want to change the mind-set and introduce new skills to 86,000 employees in anything like an acceptable time-scale you simply have to start with your brand. In fact, however many employees or stakeholders you have and whatever your time-scale any transformation always starts with your brand. Brands are communities of people with shared values and beliefs. The relationship this represents is powerful and, managed by someone who understands these things, is the key, not only to any successful transformation, but the day-to-day operation of a successful business in the digital economy. Depending on whose statistics you listen to, between 70% and 80% of transformations have so far failed. It’s obvious, for the organisations concerned, this means wasted effort, investment and, perhaps most importantly time. Even if you can afford to go through the entire process again, by the time you realise it isn’t working those digital disrupters will be well entrenched and once they are the situation is only going to go one way. While there are probably as many reasons given for transformation failure as there have been projects there is one fundamental, underlying cause and that’s a lack of focus and focus is what a powerful brand will give you. My guess is that’s why JLP have rationalised their brand – so they can more easily address their entire community and align them to the opportunities of the digital economy. Doing it this way their transformation will be far less painful, cost less and happen much more quickly – exactly what’s needed in this fast-moving digital world. It will also give the entire group a single-mindedness that has tremendous potential. Sure, once the dust has settled on the rebuilding of the business and its processes it will also be simpler and more efficient to take the revised message to market, but, by then the exercise will already have paid for itself in the consistency achieved because stakeholders like employees, partners and suppliers will all understand the brand promise and will have contributed and committed to playing their part in delivering it. The odds are definitely in favour of The John Lewis Partnership becoming one of the outstanding retail successes of the digital economy.